The Fair Work Ombudsman (FWO) has released new resources of interest to international students and stakeholders. This new package contains important information about workplace rights, such as the new pay rates along with how the FWO can assist international students, stakeholders and employers to ensure workplace compliance. New minimum pay rates are in effect from 1 July 2018. These new minimum pay rates and allowances can be checked by the FWO website including a handy Pay Calculator determined by award and classification, employment type (whether full-time, part-time or casual) and the employee’s age. Pay Guides have been updated relevant to minimum pay rates for all employment types, common penalty rates and commonly used allowance amounts. Download New Pay Rates information. The Working in Australia Community Presentation Package is for those who work with migrant and multicultural communities. The package has been designed to assist you to teach these community members about Australian workplace laws. Anyone can use these resources, whether you’re a student, employer or employee. The ESOS National Code 2018 requires education providers to provide information about workplace rights to their international students. The presentation package will assist you in your compliance with the Code. Download the Community Presentation Package to discover what the FWO is offering to facilitate its delivery. The Fair Work Ombudsman’s Small Business Showcase is a virtual one-stop-shop providing a range of resources for small business owners seeking information about their workplace obligations. The showcase covers topics including hiring employees, calculating pay, keeping accurate records and resolving workplace issues. 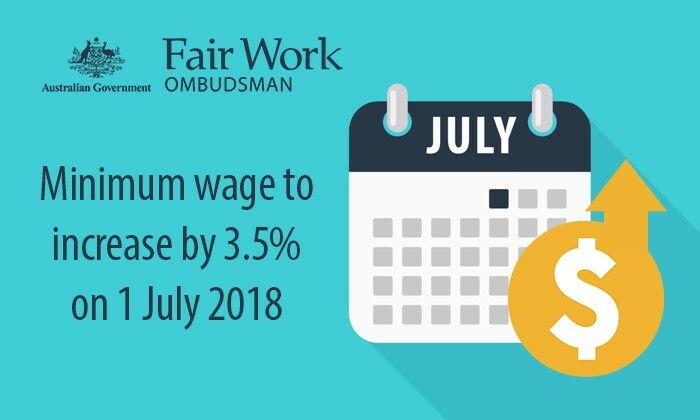 The Fair Work Ombudsman wants small businesses to know that it provides the resource, tools and information small business owners need to implement positive workplace practices and help small businesses succeed – 24/7! Download the Small Business Showcase to discover resources to help small business owners find their way in the workplace. 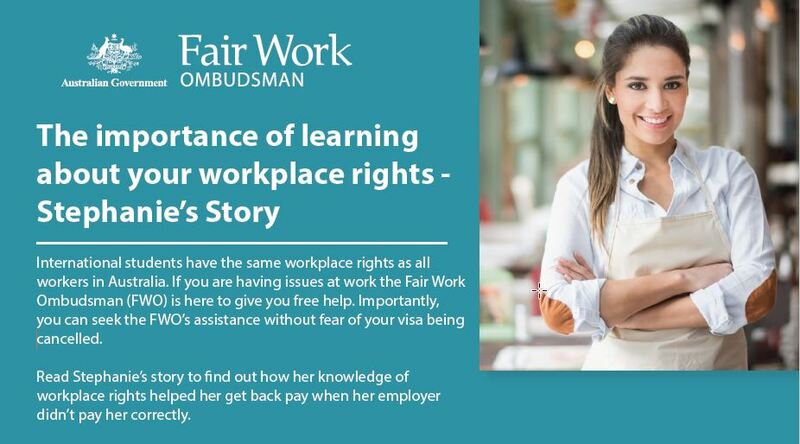 Download the Case Study based on a true story of how knowledge of workplace rights helped one international student receive her entitlements.